AnnaVirginia Fashion: Unicorn! And Other Stuff! Pattern for these hats coming soon! I've been so busy, people! Life got crazy when I had a second baby, but things calmed down. And miraculously, when I had the third baby, things didn't get to crazy. Until we moved! And we moved when she was 11 months old, and I haven't been able to catch my breath since then. That may also have to do with the fact that my oldest started kindergarten and my youngest is in preschool (where we rotate which mom is teaching, so my life is crazy-on-rotation with that!). Anyway, I'm really appalled that my last post was in September. I've been mentally making posts in my head, but apparently that doesn't get it out to the web! So I'll write up a quick "Update" post (complete with pictures!) while my kindergarten does homework and my preschooler fusses over the baby who is stepping into the drawer under the oven (don't worry, the oven is cold!). 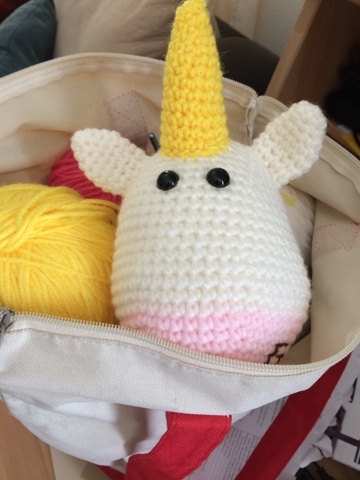 The projects I have been working on are a Unicorn for a contract job. The pattern comes from One Dog Woof and it is way cute! I'm done with the head, ears and horn and have started working on the body. I'm also knitting each of my kids a set of leg warmers (go 1980s! ), because I needed something to work on post surgery right around Christmas. My kids love the idea, but I'm afraid they won't be ready for our Southern California winter this year! It's expected to get back into the 70s Fahrenheit by next week. 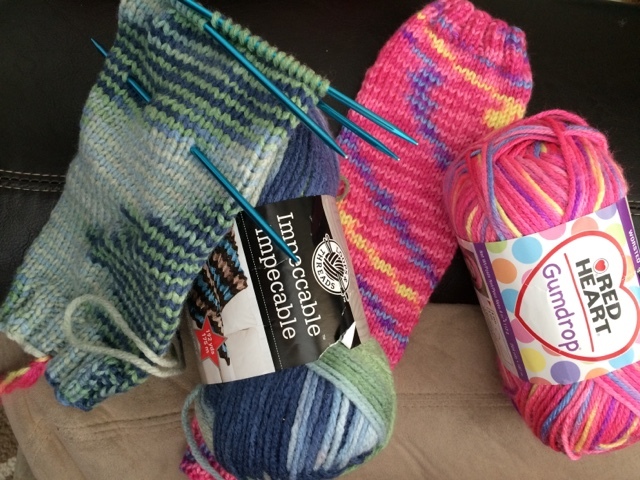 sigh I'm using Red Heart Gumdrop in Cherry for the pink and Loops & Threads Impeccable in Seaside for the blue. I also whipped up three hats a couple weeks ago for a friend who's oldest daughter (age of my son) was diagnosed with cancer. They announced it right after the new year, so things were crazy for them! Knowing that their daughter would be undergoing chemotherapy and likely lose her hair, I decided to put together a hat for her. 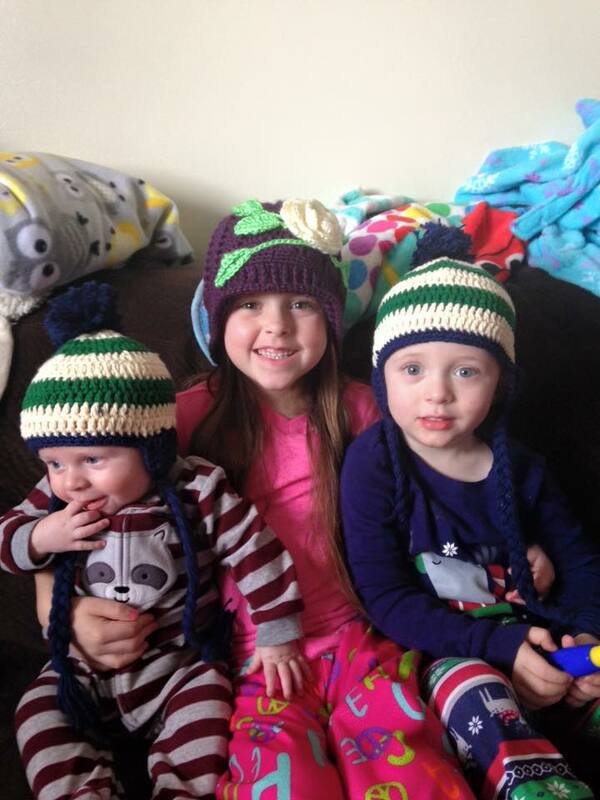 But I also know that children can get jealous, so I made hats for her two brothers as well! They turned out cute, and she sent me a picture! My kids colored pictures to send to the girl as well, and it's been a unique opportunity to discuss cancer with them. My life is full right now, even if I'm often overwhelmed. Oh, and along that train of thought, we've been in the mode of discarding things we don't need. 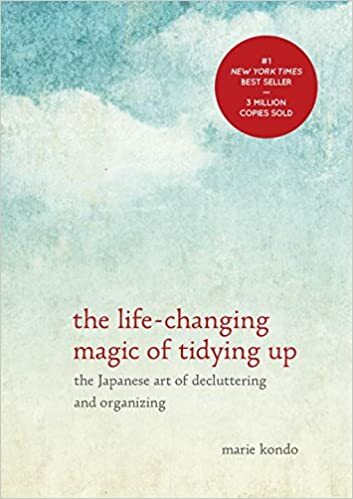 Have you read about the KonMari method? I've noticed that I used to define my "wealth" by how many things I had, but now I realize I don't want to have extra things. Just things I need. So I'd like to do a post about my closet. In our new place, my closet is HUGE, and We aren't using that much space! Actually, it's a staging area right now for figuring out where other things will need to go. So yeah. Life is good!